Services | Absolute Health Services Inc.
Absolute Health Services. A Continuum of Care. From home care to skilled nursing facilities to hospice care, Absolute Health Services is equipped to serve you. Using a patient-centered care philosophy, we address many types of health needs related to physical therapy, medications, in-home nursing services, independent living assistance like meal preparation and companionship, and end-of-life care. 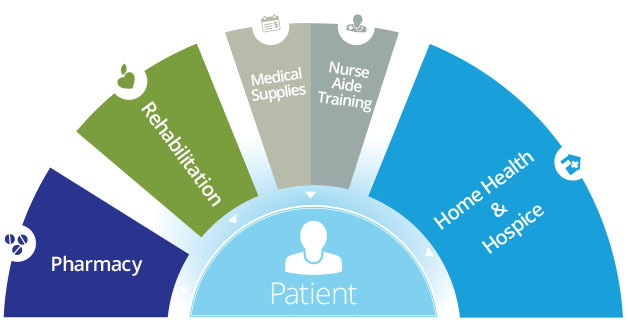 No matter where your patients are on the continuum of care, Absolute will always be the preferred provider. Where does Absolute Pharmacy provide service? Where does Absolute Rehabilitation provide service? Where does Absolute Medical Supplies provide service? Where does Absolute Nurse Aide Training provide service? Where does Absolute Home Health & Hospice provide service? Where do we provide service?